Admittedly, in our current world, the thickheaded male perspective of "this is a man's job and that is a woman's job" is thankfully dwindling by the day, but there are still a great deal of guys out there who remain unfamiliar with this list of useful skills for one reason or another. Don't be one of those guys. Meet Pete. When Pete sees his friend Scott doing something traditionally done only by Pete's mother or sister, Pete makes the easy joke regarding Scott's sexuality and/or gender. Everybody laughs, roll on snare drum. Cut to a few weeks later when Pete's hungry. Or when his pants split before a date. Or when his neighbor offers him money to tend to the rosebushes. Or when he's getting his clothes ready for a big meeting. Or when he needs to wrap a birthday gift for his mom. Or when he's trying to get the security deposit back on his apartment. You won't be hearing a lot of laughter out of Pete by this time because the comedic genius routinely thought it best to merely mock his enlightened, cultured contemporaries rather than ever learn from them. Don't be Pete. It's 2009, people. Remaining willfully ignorant because of a subscription to some centuries-old, troglodytic perspective on the gender associated with a certain skill isn't funny, manly, or admirable, it's stupid and unattractive. Even if you live with someone who can/will cover your tracks in the following important areas, that safety net will one day evaporate and you'll be just as ruined as our friend Pete. You need to grow up and learn about six supposedly feminine skills that you should have mastered a long time ago. Yes, you can always just go with a gift bag stuffed with tissue paper but there's undoubtedly going to be a gift-giving moment in your life where an item is too large to fit in a bag and/or you just want to wrap it, for whatever reason. Truthfully, the skill is not all that difficult to master but it is something that many guys will disregard as, especially around the holidays, there's no shortage of places offering to wrap a present for a small fee. This is foolish and wasteful. Gift bags and paying someone for five minutes of department store labor each cost more than a roll of wrapping paper. You've got ten good fingers and a brain; let's put them to work. The Internet. 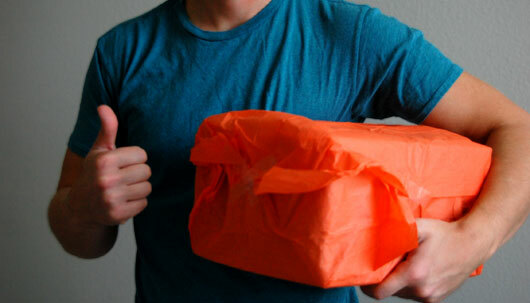 Every possible way to wrap a gift is explained with pictures and/or video, online. This is all you need. Trying to figure it out on your own will probably lead to wasted paper, tape, and maybe even bloodshed so… don't bother. Ironing is, by far, the easiest skill to learn on this list. I don't know how much elaboration is needed on this one. You've all seen this done, in practice: you take the wrinkles out of your clothing with heat, steam, and pressure. As a result, you look like a much more capable adult with your sharp slacks and whatnot. Even though this is still regarded as a duty traditionally carried out exclusively by women, every guy over the age of 14 should know how to iron. Period. To not know is just lazy (unless you're rich and can afford to have your important clothes dry cleaned and pressed, weekly… then the ignorance is acceptable, I suppose). Actually, this one is tough. Generally, one of your parents or friends can probably iron pretty well but unless you live with that person, it might be a little difficult (and weird) to arrange a time where you can sit and watch them iron. Just do it. Learn by doing. But don't wait until you're rushing to a job interview to practice ironing a dress shirt – you will absolutely regret that decision (although the guy with the crisp suit applying for the same job will thank you). Though it is the most attractive and accessible selling point of this skill, “mending clothes” is far from the most valuable aspect of knowing how to sew. Sewing is a tool of creation more than repair. Whether it's adding patches to a backpack or jacket, reupholstering a pillow or cushion, helping piece together a cool Halloween costume for you or a friend, or actually turning a pile of assorted supplies into something, sewing is an artistic and engineering trade well worth learning. The Internet is overflowing with interesting homemade projects that involve sewing in a big way; turning t-shirts into tote or messenger bags and making custom soft cases for your cell phone or digital camera are just a few of the eminently useful results your needlework can yield. However, the most valuable underrated feature of this skill, for most men, is alterations (note: different from repairs). Hemming pants or shorts is something to which anyone with a non-action figure body can relate, on a regular basis. In last-minute situations, knowing how to take in or let out slacks will save a lot of discomfort and stress (for future reference, though, it's better to just try on your tuxedo a week or so before the party/wedding/whatever). Instructables. This site not only has thousands of cool DIY projects (including a Manly Crafts section) but several tutorials for novices on just exactly how to sew. Fabric stores. These places will usually offer classes or seminars on sewing for little to no money, in addition to selling “how-to” pamphlets and books. The people. Every guy probably has a relative or friend who knows his or her way around the needle – never be afraid to ask (offer how to teach them something they want to learn, in return). Before we get going on this one, here's a weird observation: gardening (in terms of flowers, vegetables, herbs, etc.) is generally always associated with women while landscaping is always associated with men. Hmph. Disregard both of these established stereotypes – everyone should learn this trade. Despite being maybe the most specialized (meaning it certainly isn't applicable to everyone) and physically demanding entry on the list, knowing how to deal with grass and plants is invaluable in several unique ways. First, if you need a job and know your way around landscaping, you will always – repeat: ALWAYS – be able to find someone willing to pay you money for honest work (keep the immigration jokes to a minimum). Whether it's pulling weeds, spreading mulch, trimming hedges, spraying for deer, watering plants while a neighbor is out of town, or just cutting grass, you will never have to travel far to find somebody in your area who is actively looking to pay for lawn care. Take it from a guy who has lived his entire life in the suburbs of the suburbs where multiple-acre lots and older couples are everywhere: there is no off-season for landscaping and no shortage of demand for this trade. Secondly, if you care enough to grow your own vegetables or fruits (keep it holy, now), you can save yourself a ton of money and maybe even make some, on the side. Organic, naturally grown food is all the rage, now, and if you manage to pull it off well, you can sell some of your handiwork and/or give it away as a gift. Finally: knowing how to garden and landscape will make you feel better, overall. The benefits of exercise while working outdoors with your hands are obvious. The feeling of accomplishment when you are eating a tomato that you planted and grew cannot be measured. The sense of self-reliance from growing your own food will be a rather new and fantastic sensation if you're one of the many people who have lived off of grocery stores for your whole life (a group I've been in for quite some time). Most importantly, if a majority of your food comes from your own handiwork, you will eat healthier and I don't need to explain why that's a good thing, do I? Your local nursery. Go and ask every question that has ever occurred to you. As long as you buy something relatively frequently, nobody at that place is going to hesitate when it comes to giving out copious amounts of advice (and these are the people who grow plants for a living so, for the love of all flauna, listen). The newsstand. There are several national magazines focused on horticulture — check out Gardening How-To and Fine Gardening among many others, to educate yourself. Your neighborhood. You probably have a neighbor who is doing something right, be it with a giant plot of land or just a windowsill herb garden. Pick their brain. Let me just say: I love cleaning and organizing. I don't know why but I have always gotten a great deal of satisfaction out of it. Whether it's dusting, vacuuming, scrubbing a sink, alphabetizing DVDs, or separating greeting cards by occasion, I never fail to enjoy it. The notion of a cluttered desk or office leading to a cluttered mind absolutely plays a part in this activity and when you yourself are the one who can cut through that sea of artifacts congesting your everyday life… that's just like rebooting your brain (in addition to the obvious bonus of having your room/house not look like an exploded thrift store) and the cleansing nature of getting rid of all those cobwebs can be a pretty powerful psychological achievement that lingers positively for days. That being said, the biggest reason why knowing how to really clean and straighten a place up is because of the skill's many functions outside your own living quarters. You can obviously make money as a housekeeper, either on a routine basis or in a one-time “I'll pay you to help me clean out my garage and organize my closet” gig. Wealthy people will be the first to tell you that they have way too much stuff and, because they have disposable income, they are always looking to pay someone to solve this problem for them; if you get good at cleaning and make a connection or two, you can make some sweet part-time money. At work, if the copy room or some file cabinet is always a horrendous mess of crap – you can instantly identify yourself as someone with initiative and reasonable know-how in the realm of organization and order by cleaning it up (you'll also get a lot of gratitude on the side, from co-workers who were also fed up with the unkempt workspace). Finally, I have personally learned about an interesting application for this particular expertise: when staying at someone's house or apartment during a trip, the most effective way to thank them for their hospitality is to clean up their place for free (usually when they're out of the house and you have nothing better to do). As long as you don't intimate that the clean-up was a huge hint regarding their lifestyle, they will appreciate it and you will not feel so bad about sleeping on their couch for a week or ten days. Nowhere – stay right where you are. Whatever room in your life needs the most cleaning, start there. Hopefully, as a reasonably aged man, you have had to at least clean a bedroom in your lifetime. Start at the top and work your way down (dust before you vacuum). Compartmentalize the space and take it one section at a time; first the couches, then the bookshelf, then the desk, etc. Before you know it, you'll be your own Mr. Belvedere. This one is absolutely the most useful, most valuable, and biggest money-saving skill you can cultivate. Not knowing how to cook is like not knowing how to exercise – you will be ruined, at some point, without it. Rather than me listing the endless amount of reasons why you should know how to cook, let's view the three most common male arguments against it and point out just how dumb they are. There are thousands of great meals you can make in less than 15 minutes. The Food Network (that is, the television station/website based solely on the idea of cooking) has an entire section dedicated to disproving the notion that cooking your own meals takes too much time. By the way, do you know the name of that food which is always instantly available? Fast food. Eat that on a regular basis and let me know just how much you accomplished in all that time saved. Additionally: we have these things called refrigerators (at least, we do around here) that allow you to *gasp! * store food for later meals, thus providing you the opportunity to prepare a lot of food all at once. I think trading 30 minutes for seven nights of dinner is a fair trade, don't you? False. You can make a two weeks' worth of really good meals with the money it would take you to buy three meals per day for just a few days. This excuse has never been true yet people still routinely unleash it as some sort of rationale. No. If I can cook (and I have learned how in the last few years), anyone can cook. Not only that, but we live in a world where there is an entire sector of the food industry dedicated to those novices who maintain this defeatist attitude. You think it's just a coincidence that guys like Emeril Lagasse, Wolfgang Puck, Gordon Ramsey, Bobby Flay, and many others have made an astounding living just by teaching other people to cook? None of them are otherworldly geniuses capable of speaking to Mother Earth and her ingredients – they're guys who cared enough to learn (eventually getting really good at their craft, clearly). And if you don't like looking at men while working with food, there's a pretty good chance you'd sit and watch Giada de Laurentiis or Nigella Lawson (my personal favorite) do anything anyway, so at least tune in and learn a few recipes, will you? A tip: just learn how to make five dishes, at first. You don't have to run out there and figure out how to do everything, all at once. Develop a short personal menu of sorts for your kitchen so that you eventually have a handful of meals that become your (for lack of a better word) specialties. When you master these, you'll never be worried whilst trying to decide what to make for your last-minute dinner guests and – more importantly – you will know that the final product will satisfy. Knowing how to cook will save you money, it will generally lead to you eating healthier and feeling better, it will impress a lot of people (ladies and gentlemen, alike), and you'll be a better man for it… or, at the least, a man with a more interesting diet. The family. Whichever relative of yours is the best/your favorite cook, you need start talking to that person immediately. As long as they don't hate you, you're going to get an infinite amount of free cooking lessons. The Food Network. Both their programming (Good Eats with Alton Brown is terrific) and their website are obviously overloaded with accessible information for everyone interested in learning something new about what goes on in the kitchen. The bookstore. I know, I know – books aren't as fun as television. Sorry. However, there are thousands of books out there designed specifically for people who are just starting out in the culinary world. Plus, with printed recipes, you have the information right there, not temporarily on a television screen or being spoken aloud by a host who uses measurements you can't quantify. Get a few books, whether it's just the basics, ideas for quick meals, something with a little international flavor, or that which concerns the backyard. The Internet. You will never run out of cooking resources online, I promise. Sites like Chef 2 Chef, Cook and Eat, BrokeAss Gourmet, Epicurious, and 101 Cookbooks are fantastic for recipes and instruction. Also, since you're probably on YouTube at least once a day anyway, don't forget that it is the perfect forum to commemorate various segments from a bevy of cooking shows. No Reservations with Anthony Bourdain. It's not a cooking show, per say, but it is impossible to watch this show and not enjoy yourself while also learning a thing or two about cuisine around the world. While I'll be the first to admit that in our current world, the thickheaded male perspective of “THIS is a man's job and THAT is a woman's job” is thankfully dwindling by the day, there are still a great deal of guys out there who remain unfamiliar with the above list of skills for one reason or another. Don't be one of those guys. Be a modern man. Check out more of Justin's writing on his blog, esteban was eaten!. Wow! thanks a lot for the suggestions! I know that cooking is the most important but… the most difficult too! I am a totally idiot around the kitchen.. anyway I will follow your ideas step by step and will let you know! About ironing, i am quite good at least following ShirtsPedia suggestions and I figured out how to clean shirts too.. quite good! I’m replying to your comment 8 years later, is that weird? When it comes to ironing, I can’t help but recommend buying a clothing steamer. I bought one from Target for a mere $20 and it has been such a huge help to me. It’s easier than ironing, and it won’t damage your clothing. Also, good ups on the No Reservations recommendation. I love that show! 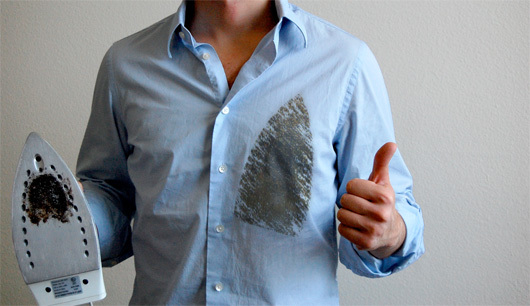 Actually, clothing steamers will damage your clothing, just in a different way. The canvassing that give suits and sport coats their shape are (sometimes) shaped by heated steam, which causes the fibers to relax, and they can lose their shape the same way. Steamers are a really good way to ruin a multi-hundred dollar piece of clothing by slowly turning a crisp suit into a shapeless sack of fabric. And really. Ironing is not that hard. Was this written in the 50’s? This is clearly written for complete imbiciles that had their mummies do everything for them until they were 30 years old and then went straight into a marriage where good ol’ wify took over and wiped their bums for them. Sad. This site is for kids right out of college. Lots of boys don’t have a reason to do these things when they’re growing up, so they never learn them, and college doesn’t really provide the environment to learn them (how many kids do you know with really clean dorm rooms?) so this seems like a pretty reasonable list. I’m not sure why you assume this is aimed at middle-aged men who got married at 30, since The Primer is clearly aimed at men who are neither 30 nor married yet. I can confirm that this was written in the 21st century and that mainly, yes, it is geared towards guys whose minds (usually unintentionally) have been elsewhere during the formative years when they could have been acquiring these skills; it’s an exceedingly common position for a younger man to be in and rather than dismissing them as imbeciles, we thought it better to offer advice and help them out. I thought that these were just what was learned when you grew up. My generation learned this as a South Louisiana Cajun. Men needed these things as we often had to be away while fishing or whatever it took to get food in the table. While I agree that these are skills that could have been learned growing up, don’t forget that we now live in a world where the service industry is booming. It’s easy not to learn how to iron or sew if you can go to your neighborhood dry cleaners or seamstress. I don’t think it’s “sad” I just think it’s easy to rely on the thousands of readily available services. You don’t even have to go to the supermarket anymore, just a few clicks or a phone call and it can be delivered to your door….. Very good point; the first guy I can remember who sewed something for me was a former National Guardsmen who had learned the skill while serving. I knew at least a bit of all these skills except gardening before I got married. But then again, I lived on my own for a while and it was a necessity. Do guys ever move out of their parent’s house on their own any more? .-= Stephan Miller´s last blog ..2 Inch Backset Locks and Deadbolts =-. I can already do all that… and could since I was a kid, however my wife cannot seem to operate the lawnmower, repair the car, bust sod, pour/finish cement, frame an addition to the house, fix plumbing, wire a new outlet, fix the computer, or even change the light bulb in the refrigerator. And you call men “thickheaded”?? GIVE ME A BREAK. Speaking as a woman who can do all that is listed in the article above, not to mention most of the things on your list. Did you ever think that your wife may be either a) pulling a “Raymond” b) somehow feel that by letting you do those things she his letting you feel like the “man” of the house or c) she just isn’t mechanically inclined? FYI My mother taught me about plumbing, and I’m the one who taught my father how to cut proper angles when we were building the deck. What cack this is. Really scraping the bottom of the barrel.